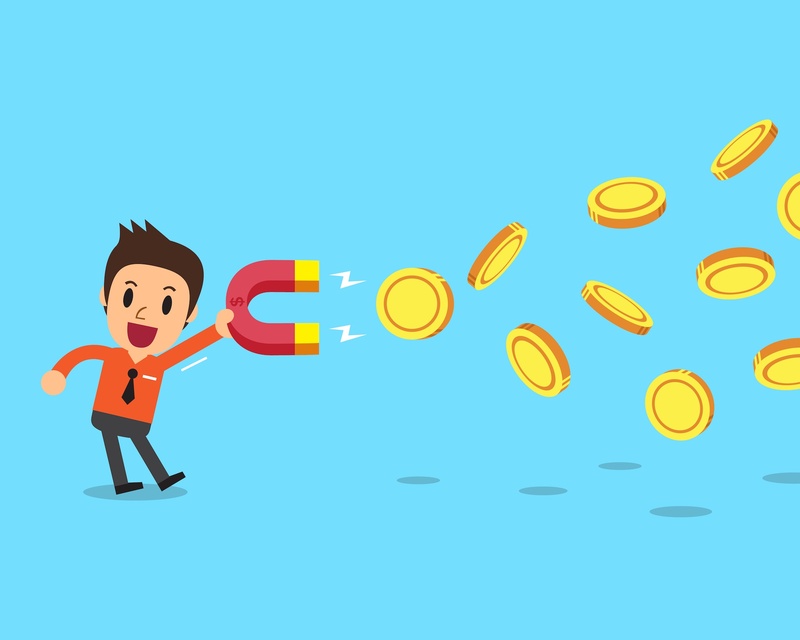 A Lead Magnet can completely make or break your lead generation success and it also plays a vital role in developing a Customer Value Optimization system. Even if you’ve never heard the term “Lead Magnet” used before, there’s a good chance that you’re already familiar with them and you’ve likely even downloaded one yourself at some point. Lead Magnets are extremely common with Inbound Marketing for one simple reason – they work, very well. At its core, a Lead Magnet is anything of value that you can exchange for a prospect’s contact information – usually an email address. The most common Lead Magnet that you’ve probably seen is a free guide or report that’s delivered in PDF format. However, there are plenty of other Lead Magnets you can offer. More on that later. A Lead Magnet has one goal: to maximize the number of targeted leads you are getting for an offer. You need a Lead Magnet because it makes your job as a marketer easier and more effective. If you were involved in the early days of online marketing, you probably remember when people were excited to sign up for a free newsletter because they were happy to be using email at all. Today, not so much. Although money isn’t changing hands, getting the email address of your prospects is a valuable transaction. It converts them to a lead, expresses interest in your offer, and gives you the ability to market your products or services to them. The problem is most people are stingy about sharing their email address, so they have to feel assured that there’s something valuable in it for them – which is where your Lead Magnet comes in. An irresistible Lead Magnet immediately grabs the attention of your buyer persona and delivers real value to them. By winning over your leads with a free offer, you are piquing their interest in your paid offers and starting your relationship on a positive note. On the other hand, an underwhelming Lead Magnet will have the opposite effect. This article will make sure the latter doesn’t happen to you. Where Does the Lead Magnet Fit in the Customer Value Optimization System? The Lead Magnet is at the top of the CVO funnel and is the primary driver of targeted leads in a CVO system. This is why it’s so important to deliver value because the effort you put into your Lead Magnet pays dividends throughout the CVO system. Lead magnets are typically offered on a landing page that you send prospects to from any traffic source you choose. The more traffic you send to your landing page and the more targeted that traffic is, the more leads you will be able to convert. Once a lead hasentered your CVO funnel by receiving a Lead Magnet, you will later offer them a related Tripwire with the goal of converting as many leads into customers as possible. You can always tell when a marketer didn’t put much thought or effort into their Lead Magnet. They may target anyone with a pulse or their presentation overall may be lacking. To be effective, your Lead Magnet needs to have a purpose. That all starts with who your Lead Magnet is serving. The biggest mistake marketers make with their Lead Magnets is trying to attract too many people. You want to do the exact opposite. Your Lead Magnet needs to be ultra-specific to the people you want it to attract. If your Lead Magnet isn’t relevant to the wants and needs of your buyer persona, they aren’t going to download it. Most companies have multiple buyer personas, but each Lead Magnet should only target one of them. Don’t worry about deciding which buyer persona is the perfect one to start with – eventually you should have Lead Magnets for ALL of them, so pick the one that you can provide the most value to now and move on to the next step. Don’t have buyer personas for your business? Download The Marketer's Buyer Persona Kit to get started. Once you’ve decided which prospects you want to target, you have to give them a compelling reason to download your Lead Magnet. The amount of leads your Lead Magnet generates for you will be directly tied to the promise you make to those prospective leads. The best value propositions are something that your buyer persona already needs, requiring less convincing on your part. Instead of trying to create something you think they could want, figure out what they already need and deliver that. In this case, bigger isn’t better. Don’t try to write a massive eBook or create a 30-day email course. Think ultra-specific! Find a common problem that your buyer persona faces and provide a quick solution to that problem. The quicker you can get them results, the better. The Lead Magnet examples later in this chapter to get an idea of how specific we’re talking here. Now that you know what you're offering and to whom, giving your Lead Magnet a name will be easy. Your title is essentially a headline for your value proposition that appeals to your buyer persona. Similar to crafting an eye-catching headline for a marketing email or blog post, the title of your Lead Magnet is bound to make a drastic difference in its conversion rate. If you're new to writing headlines, read this article to learn five basic strategies for writing irresistible headlines. By now, you probably have a good idea of what type of Lead Magnet you are going to offer. However, you often have several options to choose from that could effectively deliver your value proposition. Keep it simple – An overly-complicated Lead Magnet defeats the purpose. If no one knows what you’re saying, they won’t be able to appreciate it. Keep it simple, concise, and packed with value. Focus on your strengths – Are you a great writer? 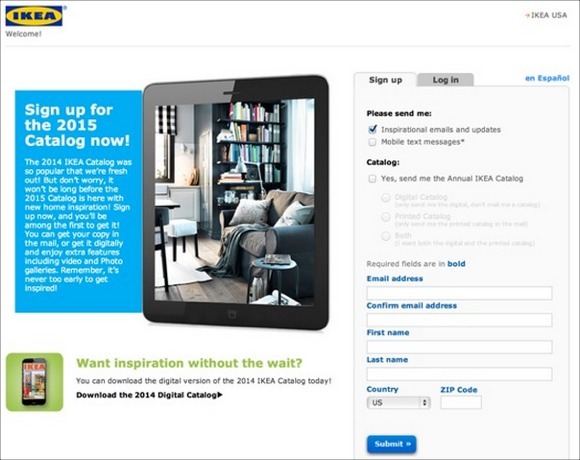 An eBook will probably be your best format. Not so great at writing, but comfortable on camera? Go with video, instead. Prioritize rapid consumption – You want to solve your buyer persona’s problem as quickly as possible. This gives them a quick win (which you did promise) and moves them down your funnel quicker. Choose a format that allows fast delivery and consumption. If you're unsure, just choose the Lead Magnet type that you feel most comfortable creating. The strategic work is over, but you still have to put in the work to create your Lead Magnet. As you work on your Lead Magnet, remember who it’s for and the value proposition you’re promising to them. If you keep those two things in mind, the process will be straightforward. The first thing that probably comes to mind as a Lead Magnet is a free eBook in the form of a guide or report. These are popular because they’re easy to create, easy to adapt to any niche, and people enjoy them. However, you aren’t limited to an eBook, or any of the other examples on this list. These are just the most common types of Lead Magnets to help you get started, but if you have something that’s high-value and easy to deliver, by all means try it out. Let’s take a look at the 9 time-tested types of Lead Magnets. This is the most common and straightforward Lead Magnet you can offer, but just because it is used most often that doesn’t mean it isn’t effective. In fact, one of the main reasons the guide/report is a go-to Lead Magnet for marketers is that they work so well. The key with all Lead Magnets, but especially guides and reports, is specificity! Focus on one specific goal for one specific buyer persona. 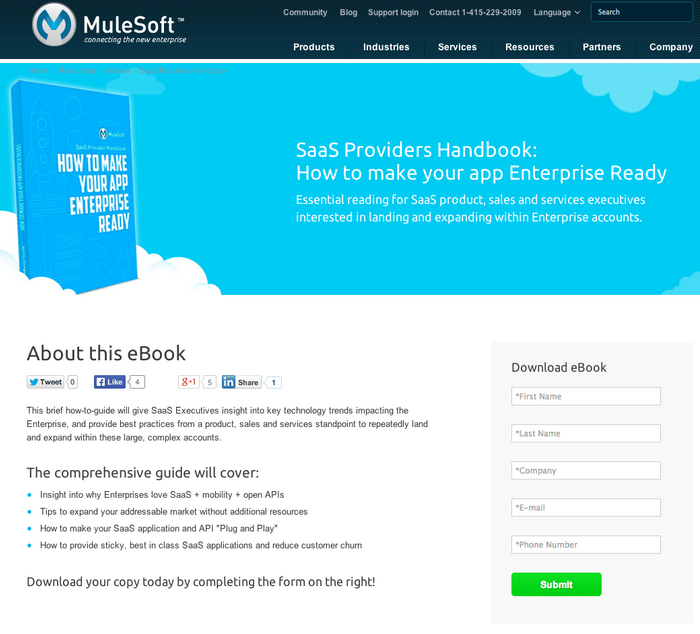 The specificity of this Lead Magnet and the sales copy on this landing page ensure that the only people interested in downloading this guide are also potential customers for MuleSoft. Cheat sheets and handouts work well because they usually provide highly-tactical information that saves the prospect a lot of time. Although they are often delivered in PDF format, cheat sheets take a different approach than reports and guides. Cheat sheets are usually only a page or two long and they get straight to the point. You’ll often see these presented as checklists, blueprints, and mind maps. Below is an example of a mind map used as a Lead Magnet. Notice how they’ve blurred out the content to give a glimpse of what’s inside and build curiosity. 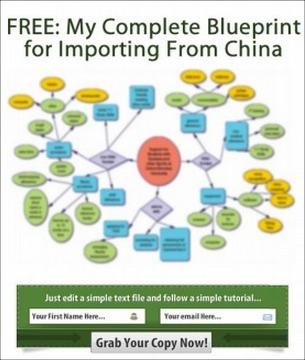 The solution is specific and concise, but you can see from the image that there’s still a lot of information packed into this “blueprint.” This is exactly what you want in a Lead Magnet – useful content that your leads can put to use immediately. Toolkits and resource lists make great Lead Magnets for the right buyer persona. This provides one piece of reference material for them to use over and over, without having to track down all of those tools or resources on their own. 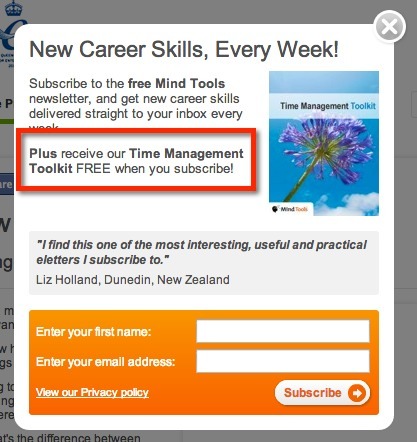 Below is MindTools’ “Time Management Toolkit,” which is basically a list of different tools their leads can use to manage their time more effectively. 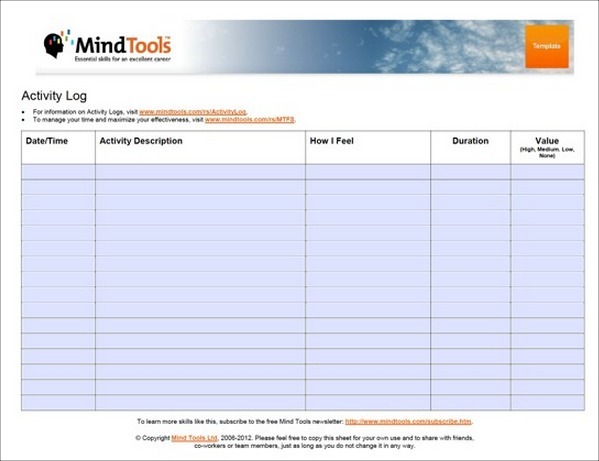 Below is one of the tools from the Time Management Toolkit, which is an activity log provided by MindTools. This type of Lead Magnet is perfect for your business if you already have tools and resources available that you want to make sure your leads are aware of. Video is a highly-engaging format, and if you’re comfortable in front of the camera and have a skill you can teach, this could be the perfect Lead Magnet to offer. In this particular Lead Magnet, John Lee Dumas shows prospects how a podcast can benefit their business and teaches them the basics of getting started. At the end of the webinar, there is an upsell for an information product that goes into greater detail for creating a podcast, along with a private community. Instead of a live webinar, you can send leads to a private page with a recorded video or you can send them a recording of a previous webinar. Aside from specificity, the key is providing valuable information that your lead can actually use. Too many webinars skip that part and go straight to the upsell without providing value. I’ve been a Netflix customer for 7 years now and do you know how they captured my business? A 30-day free trial. There are very few Lead Magnets that will be as effective for SaaS businesses (and other software companies) than a free trial because people love to try before they buy. 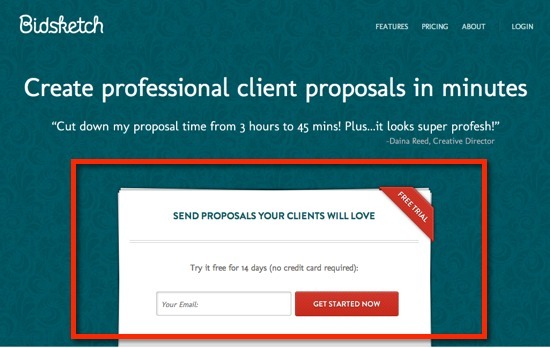 Below is an example of a free trial offer that’s designed to convert. Did you notice the “no credit card required” in the copy on the form? This is incredibly effective for lowering the barrier to entry because they don’t have to worry about canceling their free trial to avoid getting charged. People love discounts and getting things for free. For many people, giving away their email address is a small price to pay if they can potentially save hundreds or thousands of dollars on a purchase. This Lead Magnet works best for companies selling physical products or anything where you get a lot of repeat purchases from customers. 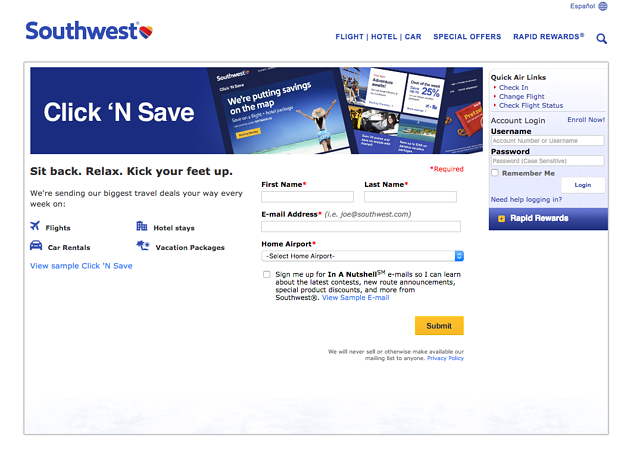 The following example is from Southwest Airlines, which is well-known for hooking up their loyal customers with amazing travel deals. Keep in mind – if your products are lower-priced or the discounts aren’t significant, this Lead Magnet might not be as tempting to your prospects. In some industries, quizzes and surveys have tremendous value and are very effective as a Lead Magnet. Before you make assumptions, I’m not talking about the Buzzfeed quizzes that end up in your Facebook timeline – I’m talking about quizzes that actually solve a problem. Not only is this a fun activity for their buyer persona, but they’ll be able to take better care of their skin and know which products are right for them. 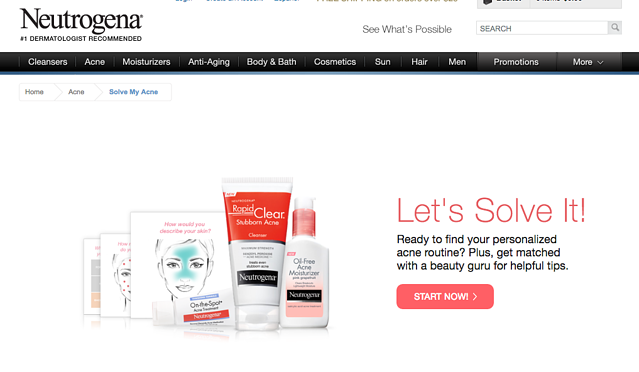 Plus, by prompting their buyers to “solve” their acne (rather than alternatives like finding the right products or finding their skin type) they effectively touch upon a major pain point and truly strike a chord with their messaging. 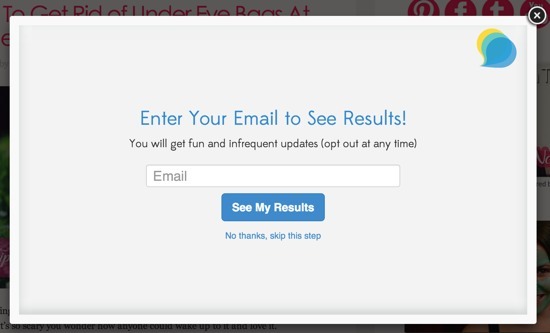 To maximize your conversion rates, you can also present your prospects with the opt-in form after they’ve completed the quiz. That way they’ve already invested a little bit of time and they will have built anticipation for the results. An assessment or test is similar to a quiz, but it is particularly effective for companies selling a service. In this case, prospects aren’t simply looking for an answer – they’re also looking for an expert opinion. Some of your buyer personas are already interested in what your company offers and the most desirable Lead Magnet for them is specific information that’s used to make a purchasing decision – usually pricing. Digital sales material is generally better because it allows for rapid consumption and it’s more cost-effective. The content above was an excerpt of our new guide, "The Inbound Customer Value Optimization System (Using HubSpot)." To learn about creating an irresistible tripwire and the rest of the Customer Value Optimization System, get your free copy of the full guide by filling out the form below.